MANILA, Philippines - (Updated at 2:00 p.m., May 18) The Commission on Election (Comelec) partial and unofficial results for May 2016 national elections - vice presidential race are out online. 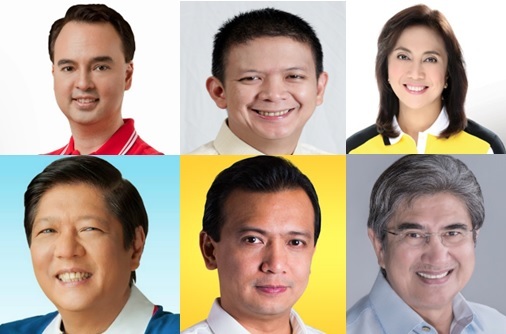 Six candidates vying the second top positions in the Philippines. On this page, you will find the updates on latest vote tally for the six vice presidential candidates Alan Peter Cayetano (Independent), Francis 'Chiz' Escudero (Independent), Gringo Honasan (United Nationalist Alliance), Bongbong Marcos (Independent), Leni Robredo (Liberal Party) and Antonio Trillanes (Independent). After the poll closed on Monday, Marcos was the leading candidate by almost half million votes. Early Tuesday (May 10), Robredo edged out Marcos by less than 100,000 votes. Here's the update as of 1:45 p.m. (May 18) courtesy of GMA News. Check out partial and unofficial Comelec results for VP race (live updates on widget below). In the final SWS pre-election survey, Marcos and Robredo are statistically tied for top VP, 29 and 28 percent respectively. Escudero is on distant third with 15 percent and tied with Cayetano, who got 13 percent. Honasan and Trillanesare at the tail end, each with 3 percent. Based on Comelec rules, the candidate with the highest number of votes wins the vice presidency. In case when two or more candidates have the highest number of votes, one of them shall be chosen by the vote of a majority of all the members of both Houses of the Congress, voting separately. The canvassing of votes for the vice-presidential including the presidential race is the sole jurisdiction of Congress sitting as the National Board of Canvassers, according to the poll body. The winners shall be inaugurated on June 30, 2016.